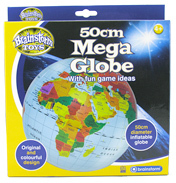 Here you will find some first-rate manufacturers of toy globes and planet sets as well as some more general science sets supplied by Brainstorm who pride themselves on providing high quality, unique educational products, toys and gadgets. 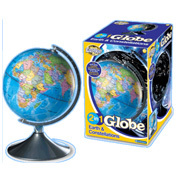 Globes generally come as two types, a terrestrial globe which is the most common 3D model of earth as viewed from space, or a celestial globe which shows stars and constellations instead. 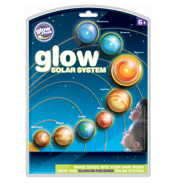 Globes can also be models of other celestial bodies too – for instance another planet or the moon. They are shaped like spheres which is actually a reason for them being called globes in the first place as the name ‘globe’ is derived from the Latin word ‘globus’ which basically means a ball like sphere. There is something very fascinating about a globe, and as well as being educational they also make great display pieces and talking points. 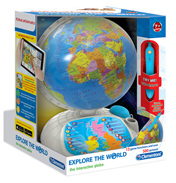 The company Fact finders supply globes as inflatables in two sizes, the Inflatable Globe which is the smaller version and the Mega Globe which is a massive 50cm in diameter; both have excellent detail, are great for games and can be stored away if necessary. 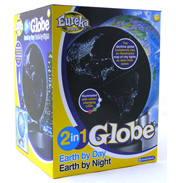 The Eureka 2 in 1 Earth & Constellation Globe is good as it has both terrestrial and celestial all in one globe, for day and night viewing and the Night & Day Globe is a particularly excellent example for the more serious buyer as this one also has real time operation and lights up areas of daytime and includes a rotation action and makes an excellent clock and nightlight too. 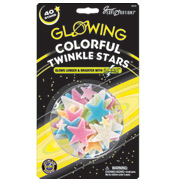 The brand Glow Creations or Original Glow Stars Company has a super Model Solar System Kit which glows in the dark and has a very large number of shapes to create your own model constellation. 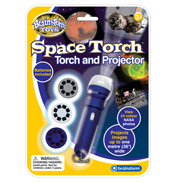 This company also sells a projector on which glow in the dark pictures can be created and projected onto a wall. 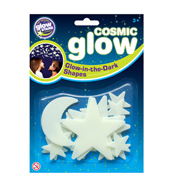 This brand has the glow in the dark aspect completely covered. 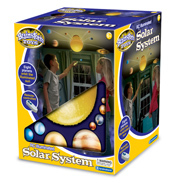 SmartLab toys unleash some serious fun and each one of their products comes with a book component so they are equally educational as they are fun. 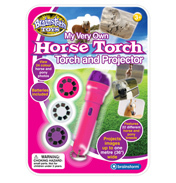 They believe that children learn best through hands on exploration of their own so try to make their science kits are interesting and informative as possible. 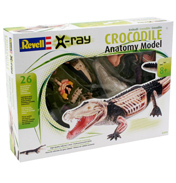 Their range includes the Human Body Model for full body guided tour, Double Security Safe to learn about safes and locks, Remote Control Rocket launcher and Great White Shark Model anatomy kit. One of the funniest things about this brand is their brand mascot – a cute dog wearing glasses, an image of which is found on each box wearing a multitude of different outfits as the kit subject determines. 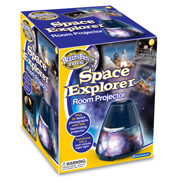 These science kits make excellent gifts and each one of them will provide hours of entertainment and are great ways of finding out facts together, and they are also good for refreshing those adult, general science brain cells too.